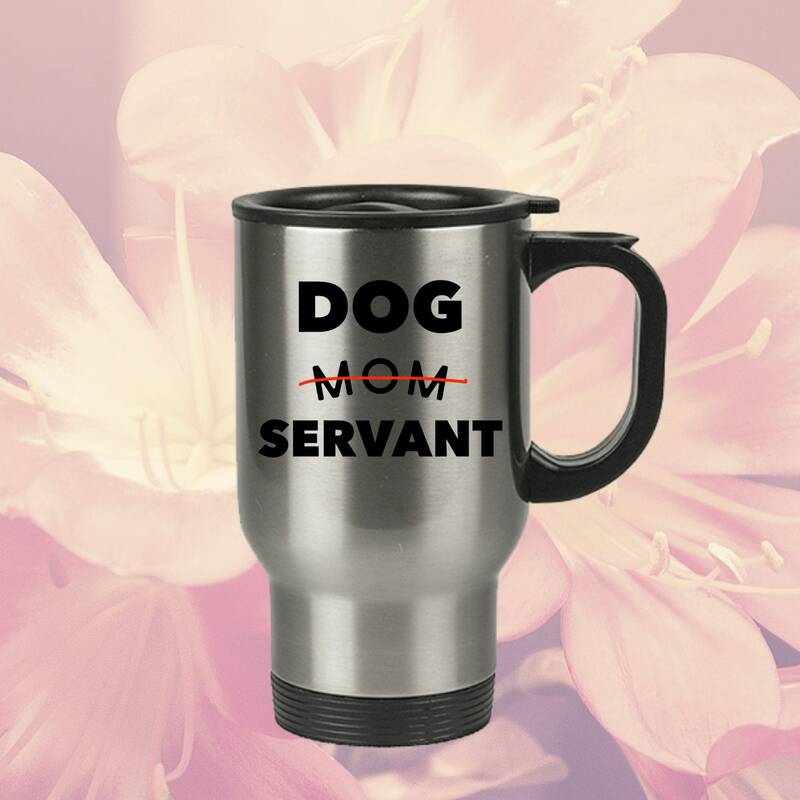 Makes a wonderful coffee, smoothie or tea mug for your loved ones, co-workers and friends with a true devotion for their canine companions and dog Moms in your life. 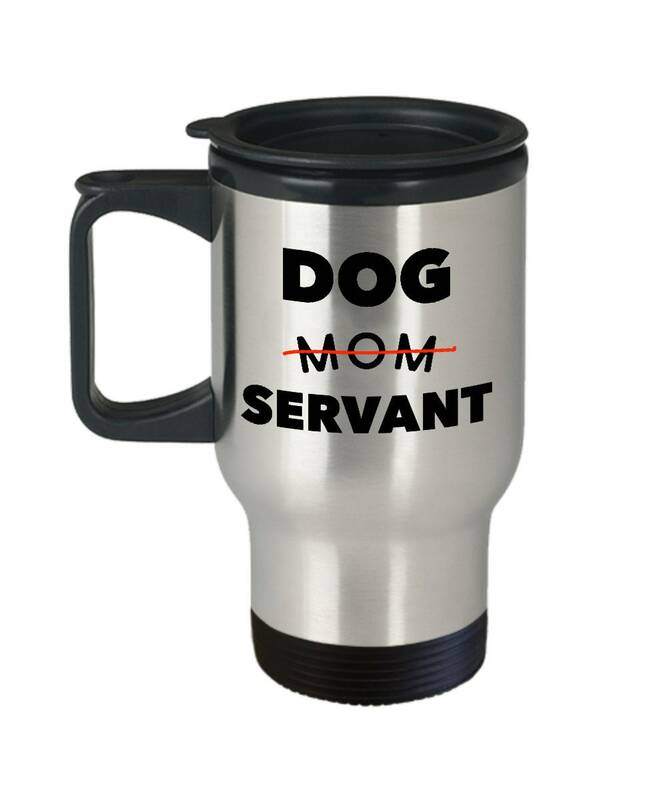 •	This holds 14 oz worth of liquid and comes with an easy-grip handle and thumb rest. The tapered bottom fits in a standard cup holder. Lid has slide opening and slanted drinking surface. •	Made out of stainless steel for durability. Since it's made out of stainless steel it is not microwave safe. Thick DOUBLE WALL helps keep hot drinks hot and cold drinks cold far longer than the average mug. •	The image is printed on both sides for righties and lefties with only the highest quality sublimation inks and printing techniques to ensure a lasting print. 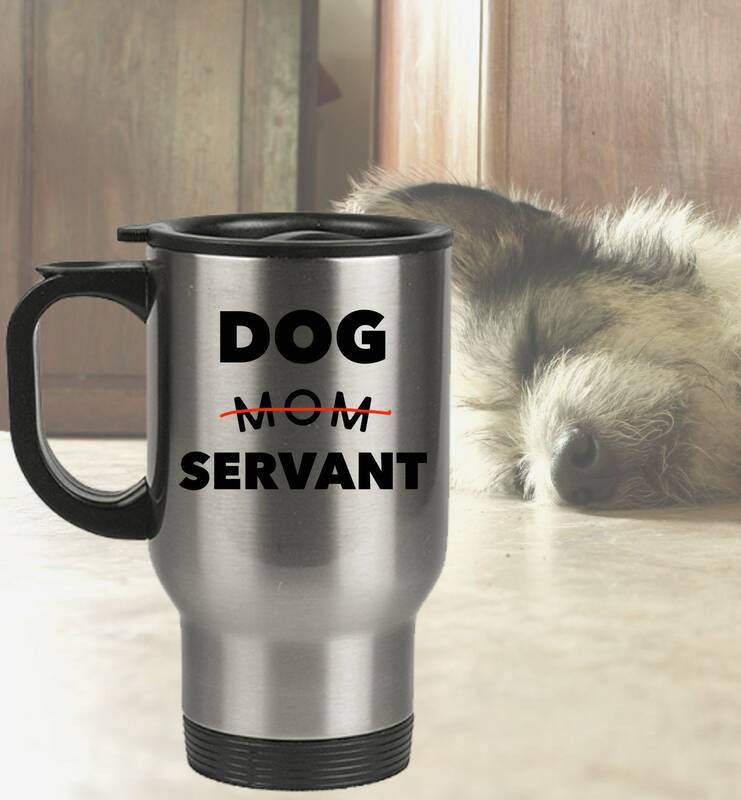 •	Lid is dishwasher safe and shatter resistant. •	Hand wash is official recommendation for cleaning, but I have run these through the dishwasher multiple times with no issues whatsoever. Hanukkah: Order by November 15th. New Year: Order by Dec 5st.